Just recently a Montreal-based real estate media company named POTLOC named me as one of the top 20 influencers in the world of Canadian real estate. I am honoured to be included on POTLOC’s list alongside other Canadians such as Mike Holmes (Holmes on Homes), Drew Scott and his twin brother Jonathan (the Property Brothers) to name a few. Thank you to my family, friends, clients and everyone else that has made this possible! 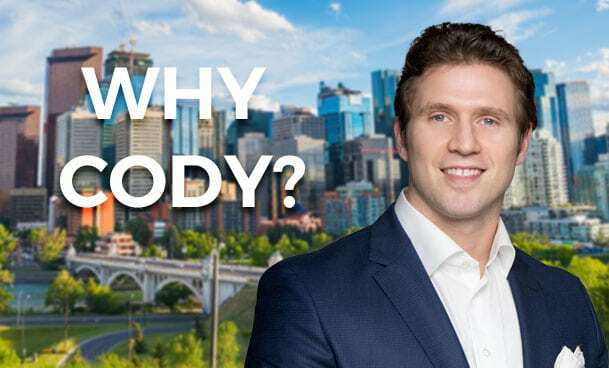 With nearly 15 years of experience in Calgary’s residential market, I’ve had the opportunity to build many lasting relationships with people from all over the province. Connecting with new people through real estate, energy advocacy or other means has given meaning to my career and an incredible satisfaction as a result. In February of 2018, I received the REMAX Lifetime Achievement Award. This was another huge honour I worked hard for and want to thank my family, friends and clients once again for making it a reality! 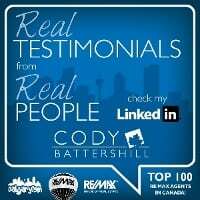 If you’re thinking about making a move in Calgary’s dynamic real estate market, contact a local housing market expert and call, text or email me (cody@bestcalgaryhomes.com) today. I would love to put my knowledge, experience and skillset to work for you! Call me direct anytime at 403-370-4180 or send a message using the form below for a prompt response if I don’t get back to you immediately. I am looking forward to helping you succeed in your real estate plans!